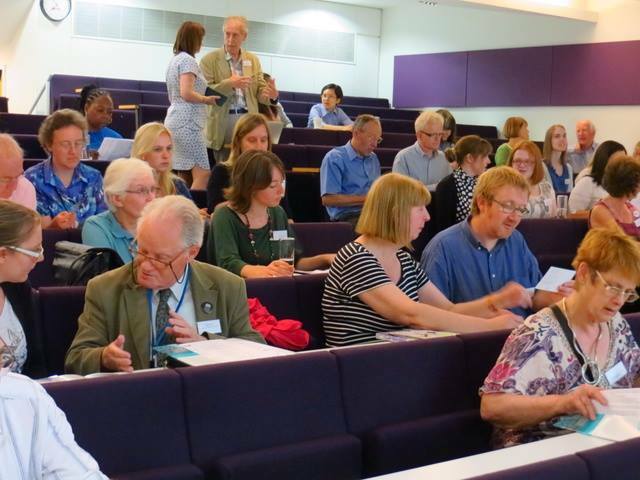 Thursday 12th June saw the Community Archive and Heritage Group conference, for 2014, take place at the University College London with the overarching theme being communication. Effective communication is essential for planning, organising, promoting, motivating and challenging attitudes and the message was community archives need to be proactive using all available technology to pass their message on. The keynote address was provided by Lisa Jardine professor of Renaissance studies and director of the Centre for Humanities Interdisciplinary Research Projects at University College London whose work has taken a very different route recently when her father’s MI5 records were made available to her. The event also saw the announcement of the winners of the Community Archive and Heritage Awards and the presentation of their awards. Also, the CAHG annual general meeting took place as part of the day. In this meeting, our own Alan Butler was voted on as part of the CAHG committee having previously been invited to join. Alan was offered this role following the Plymouth LGBT Archive being named the most inspirational archive in 2012. It was felt by the committee that, both in terms of our location in the South West and the fact that this is an archive of interest (ie LGBT) as well as place, Alan could make some useful input into the committee. He certainly hopes to be able to use this new role to champion community archive work taking place in the South West and also to show just how important shared heritage can be to communities of specific interest.